The Omni Parker House in Boston, Massachusetts is considered to be the most haunted hotel in New England, according to the folks at Ghosts & Graveyards: Boston's Frightseeing Tours. You can stay at this hotel and just might experience some apparitions yourself. Founded by Harvey Parker in 1855, the hotel, located in the heart of downtown Boston right along the Freedom Trail, is the longest continuously operated hotel in the United States. Parker was the overseer and resident until his death in 1884. Some say he never left. It was at the Parker House where some of the most famous names of America’s Golden Age of Literature, like Emerson, Thoreau, Hawthorne, and Longfellow, met to socialize in the nineteenth-century Saturday Club. Baseball greats like Babe Ruth stopped in for drinks and dinner. And famous politicians have frequented the elegant hotel. Parker House has also hosted famous performers since it is near Boston's Theater District. While the Omni Parker House continues to be frequented by notable names, it's the ghosts that are the center of attention around holidays like Halloween. Stories of a bearded man and noises in room 303 are common, even told by current guests. A bearded man dressed in colonial-era garb has been sighted on the ninth and tenth floors and once at the end of a guest’s bed in room 1012. "The spirit looked concerned sitting there staring back at the young woman," says the sightseeing website. "Perhaps he wanted to know if the guests were enjoying their stay." Many hotel staff and visitors believe the ghost is that of Parker, though it would be very out of character for him to wear colonial clothing, since his years as hotel proprietor came nearly a century after the end of America's colonial era. Guests have also reported seeing orbs of light hovering down the 10th-floor hallways and then mysteriously vanishing. "Other guests have reported the sound of a rocking chair (the hotel has none), strange whisperings and laughter, misplaced items and flickering lights," reports the newspaper, the "Austin American Statesman." If the upper floors are visited occasionally by a former hotel owner who should have long ago moved on to the world beyond, perhaps he is just an oversolicitous hotelier who simply doesn't realize the establishment has new owners. 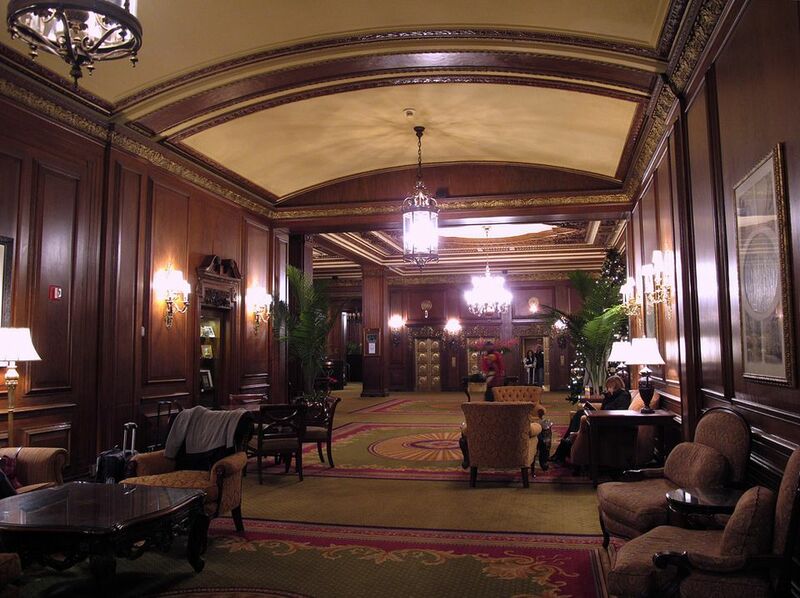 The third floor, however, is the paranormal hotspot at this historic Boston hotel. Charlotte Cushman, a renowned 19th-century stage actress who played both male and female roles, such as in the Shakespearean plays "Lady Macbeth" and "Hamlet," died in 1876 in her room on the third floor. Now, one of the elevators often travels on its own to that floor, even when no buttons are pushed. Cushman isn't the only ghost suspected to haunt the third floor of the Omni. Years ago, a businessman died in room 303. Guests staying in that room over the years have reported the smell of whiskey and raucous laughter, even when neither was to be found. After many guest complaints, the room was converted into a closet. Some surprised guests have reported seeing hotel founder Parker in other rooms throughout the Omni—and not just on the ninth and 10th floors—inquiring about their stay. Authors like William Wadsworth Longfellow, Henry David Thoreau, Charles Dickens, and Ralph Waldo Emerson frequented the hotel and since Longfellow's favorite room was on the popular third floor, many suspect the elevator is returning him upstairs after a club meeting. You can stay at this four-star venerable hotel, on a haunted floor or not. It's an elegant, classically beautiful hotel with modern amenities. There are 551 guest rooms and suites. Parker’s Restaurant, at the hotel, has introduced the world to some delectable culinary classics, including Parker House Rolls and Boston cream pie. The hotel is family-friendly and offers a welcome gift for children. Located on the historic Freedom Trail, Omni Parker House puts families in the heart of Boston. You'll be within walking distance of the Boston Common, Boston Public Gardens, and Faneuil Hall Marketplace. Is Hotel Coronado Haunted by a Ghost?